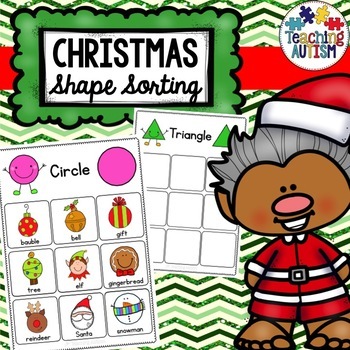 This 2D shape sorting activity is a fun addition to your Christmas unit. It is a fun and hands on activity to have your students work on their shape recognition skills. 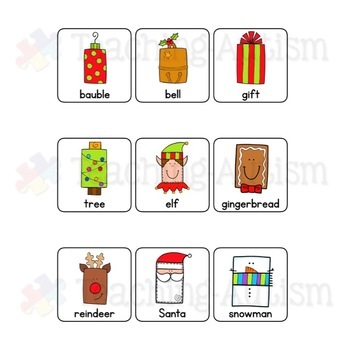 There are 9 different Christmas images disguised as 2D shapes. Students have to sort these images to the correct 2D shape page. This will also help your students to work on their sorting and categorizing skills. There are 11 different 2D shape pages included in this pack. This will provide your students with plenty of opportunities to work on these skills. 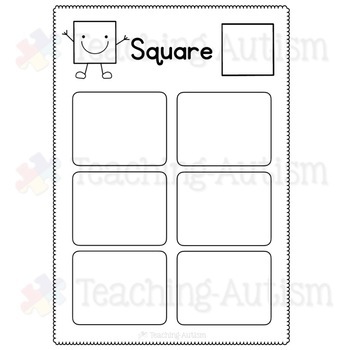 ♦ Put together as a book for students to work through with their shape sorting. ♦ Use as worksheets for students to complete. 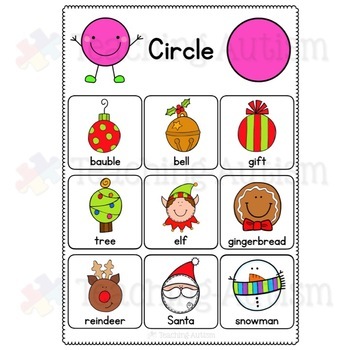 ♦ Laminate the sheets and have this as centre activities. This resource comes in both col. and b/w option for your printing preference. Appropriate for American and British/Canadian etc. classrooms i.e colour/color. • $2.99 and under cart fillers. Once you have purchased this resource don't forget to come back and leave feedback to help you gain some TpT credits! If you want to keep up to date with my sales, new resources, freebies and so much more click the green ★ next to my store name! I love to see my resources in action in your classrooms, if you use one and would like to send me an image of it you can send to me @teachingautism on Instagram! Follow me here. You can gain TpT credits by going back and leaving feedback on any purchases that you have made. The credits build up and then you can use them off future purchases - from any seller on TpT!